O Lord of universe, source of all life, embodiment of mercy, the supreme teacher to the world. O compassionate Lord, the reliever of sorrows of this world, relieve all our pains and grief. O Merciful Lord, sanctuary to meek and humble, please bless me with your kindness. Nanak says, whether this body is healthy or infirm, lets always be in remembrance on the Almighty Lord. ਹੇ ਗੋਬਿੰਦ ! ਹੇ ਜੀਵਾਂ ਦੇ ਮਲਿਕ ! ਹੇ ਕਿਰਪਾ ਦੇ ਖਜ਼ਾਨੇ ! ਹੇ ਜਗਤ ਦੇ ਗੁਰੂ ! ਹੇ ਦੁਨਿਆ ਦੇ ਦੁਖਾਂ ਦਾ ਨਾਸ਼ ਕਰਨ ਵਾਲੇ ! ਹੇ ਤਰਸ ਸਰੂਪ ਪ੍ਰਭੂ ! ਜੀਵਾਂ ਦੇ ਸਾਰੇ ਦੁਖ ਕਲੇਸ਼ ਦੂਰ ਕਰ. ਹੇ ਦਯਾ ਦੇ ਘਰ ! ਹੇ ਸ਼ਰਣ ਅਏਯਾਂ ਦੀ ਸਹਾਇਤਾ ਕਰਨ ਜੋਗ ਪ੍ਰਭੂ ! ਹੇ ਦੀਨਾਂ ਦੇ ਨਾਥ ! ਮੇਹਰ ਕਰ. ਚਾਹੇ ਸ਼ਰੀਰ ਸਵਸਥ ਹੋਵੇ ਜਾਂ ਰੋਗੀ ਹੋਵੇ, ਹੇ ਪਰਮਾਤਮ (ਰਾਮ, ਦਾਮੋਦਰ, ਮਾਧੋ) ਨਾਨਕ ਤੇਰਾ ਸਿਮਰਨ ਹਮੇਸ਼ਾਂ ਕਰਦਾ ਰਹੇ. हे गोबिंद ! हे जीवों के मालिक ! हे किरपा के खज़ाने ! हे जगत के गुरु ! हे दुनिया के दुखों का नाश करने वाले ! हे तरस स्वरुप प्रभु ! जीवों के सभी दुख और कलेश दूर करो. हे दया के घर ! अपनी शरण आये की सहायता करने योग प्रभु ! हे दीनो के नाथ ! मेहर करो. चाहे सरीर स्वाथ हो या रोगी, हे परमात्मा (राम, दामोदर, माधो) नानक तेरा सिमरन हर समय करता रहे. 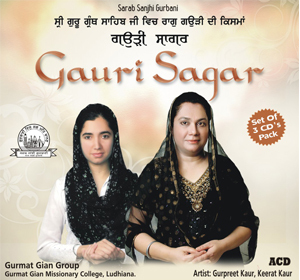 This entry was posted in Shabad Kirtan and tagged Dukh, Gurbani Sangeet, Gurmat Gian Group, Gurmat Sangeet, Gurpreet Kaur, Japjit Kaur, Keerat Kaur, Keertan, Kirtan, Sansar, Shabad, Shabad Kirtan, Sikh Music, Tap. Bookmark the permalink. 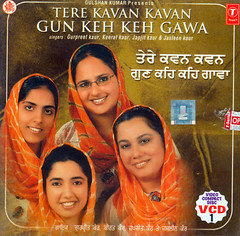 thanks for singing such a wonderful gurbani shabds.Wahe guru ji bless you all. I trust you are enjoying the TOP LEVEL LOVE OF CHARAN KAMAL OF SAT GURU NANAK DEV JI MAHARAJ. luck for listening your voice . your desire to do so , hope & trust you will take it in the LIGHT OF LOVE OF GURU GRANTH JI MAHARAJ. OR THIRSTY PEOPLE , who are trying to enjoy the SUPER POWERS OF LOVE OF SAT GURU NANAK DEV JI MAHARAJ , in their heart. minimum of 15 minutes or 20 minutes. the POWERS OF PRAKASH OF CHARAN KAMAL OF BABA NANAK JI . 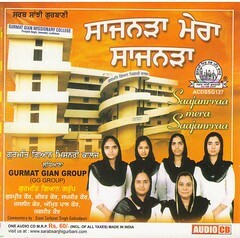 Thanks a lot for liking the Gurbani Kirtan ans also for all the Blessings. I have taken note of the suggestions given by you. 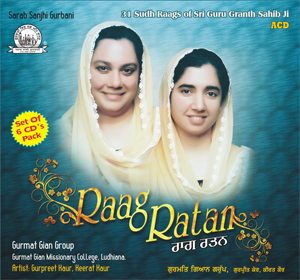 These days I am occupied with some projects in hand and one of this is composing music in all Nirdharit Raags of Sri Guru Grnath Sahib Ji. Its a big work and only Waheguru knows how long it would take. I have noted the Shabads mentioned by you, and many more Shabads by other viewers and would try to compose them and record them whenever possible. 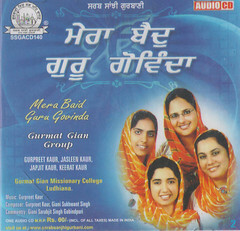 Its good that you are downloading the Shabads and may download all of them and play them at your Gurdwara Sahib or any other place as you please. This way you would be distributing the Bliss of Guru’s Bani to others, and thats our aim. In case you would like I can send you all the CDs (7) by post. 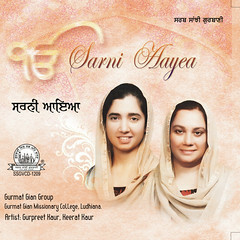 I and my listen to this shabad daily once must, sometimes twice. I am so moved by the way this shabad is recited, I can,t even specify or say in words. The visual added by Dr. Manbir Singh in this video and others are awesome, reminds us some scenic wonders we have seen in New Zealand. Waheguru Bless u all.